One of the most popular gemstones, turquoise has been world renowned for thousands of years for its beauty, and its color. 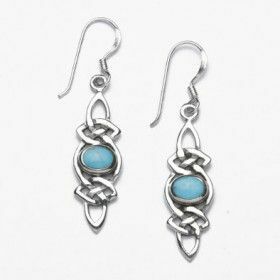 From prehistoric times until modern day, the turquoise stone has been a symbol of good fortune, and a timeless display of natural beauty. 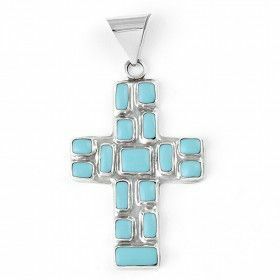 With a gemstone that's been revered for as long as turquoise has, you will absolutely never have to worry about it going out of style. 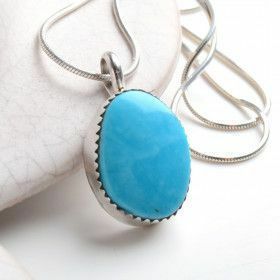 Whether you prefer a natural chunk pendant or a more refined modern necklace, we have what you're looking for when you're ready to buy turquoise jewelries! 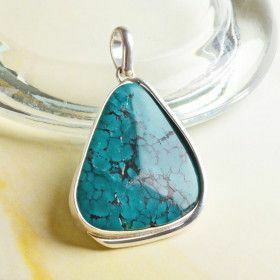 Turquoise jewelry comes in different shades of blue and green and can be completely solid in color or it can have "veins" (also called spider-webs; these are the lines that naturally occur throughout certain types of turquoise). 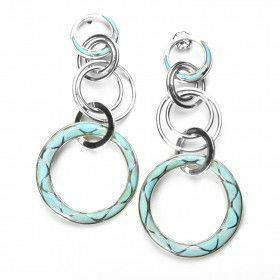 With many different hues of turquoise, it can be fairly easy (and fun) to buy multiple turquoise pieces for one jewelry box. The beautiful turquoise that we sell is called Stabilized Turquoise, which is nearly the best quality turquoise you can buy. The first and best turquoise out there is called Gem Turquoise, which is so very rare that it is incredibly expensive. 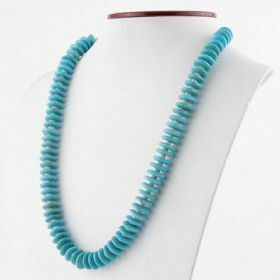 (Then there is the least expensive, low quality turquoise called Reconstructed Turquoise). 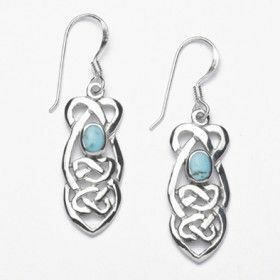 No matter which turquoise jewelry item you pick out, you can enjoy knowing that according to the metaphysical world, turquoise can promote the following: Overall Happiness, Good fortune in love, Financial prosperity, Creativity, Intuition, Meditative states, Peace of mind, and Comfort in unknown or new situations. There is so much information and lore encompassing turquoise. Why not learn a little bit more about this amazing stone we call turquoise? Turquoise is perhaps the oldest gemstone in the world. Evidence shows that its mining started some 9,000 years ago! 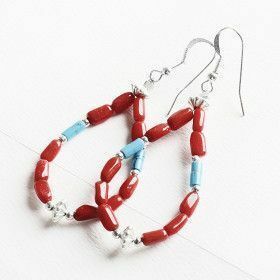 The oldest turquoise jewelry found to date is a strand of beads from ancient Mesopotamia (modern territory of Iraq) dating to approximately 5000 B.C. 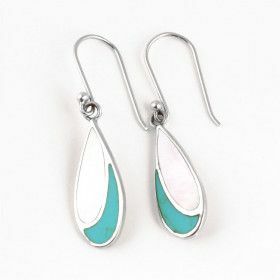 Turquoise is completely different from the other kinds of popular jewelry which is mostly transparent, or at least semi-transparent. In fact, turquoise solid color is its main selling point. Its color varies from blue to lime green, but whatever shade it has, it will surely help you stand out in a crowd. In the ancient world, people believed in the metaphysical properties of this beautiful gemstone. It was a symbol of wisdom and nobility. People wore turquoise in order to gain power, luck, and protection from evil. 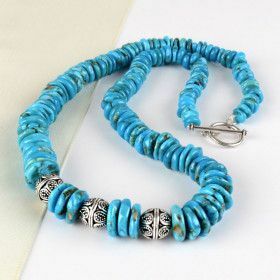 Ancient Egyptians believed that turquoise connected the physical and the spiritual worlds, so they used it to adorn the burial masks of their pharaohs. 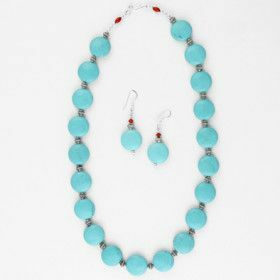 In Tibet, turquoise was worshipped as an embodiment of deity. It was considered more precious than diamonds. People even came up with special “turquoise last names” that were supposed to bring them good fortune and prosperity. The first Koran was supposedly given to prophet Mohammed engraved on a piece of turquoise. 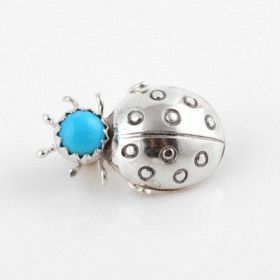 It seems impossible, but nothing seems impossible to those who believe in the magical properties of turquoise. Turquoise was considered a stone of love. 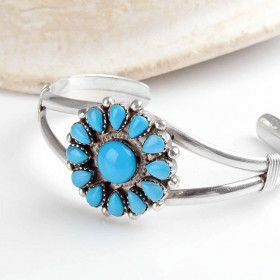 In the East, people who are in love with each other still give each other rings with turquoise. According to the legend, the stone in the ring will fade if the love ceases. Turquoise is a combination of copper, aluminum, and phosphate. 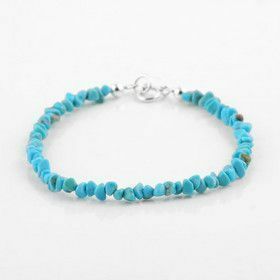 Turquoise rocks are found in arid dry regions. The percentages of the composition vary, so every stone is unique in color and structure. The higher the iron to aluminum ratio, the greener the stone will be. 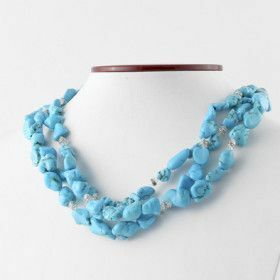 In ancient times, blue turquoise was the most popular and the most expensive kind. However, now the green variety is gaining popularity due to its rarity compared to the blue variety. The most valuable turquoise has an evenly distributed “robin’s egg” blue color without traces of matrix. However, the turquoise with the “spider web” matrix is also very popular. The spider webs may be different in color (black, brown or red). They criss cross covering the whole stone, thus creating exquisite patterns which enhance its natural charm. 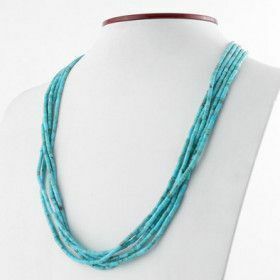 The spider webbing has become a main selling point in some of our turquoise. What kind of turquoise jewelry does the Russian Store sell? The Russian Store mainly sells stabilized turquoise. In the process of stabilization, the soft and porous stone is soaked in the epoxy resin, which preserves its structure and makes it hard enough to be cut and polished. It’s the most popular kind of turquoise in the market right now. 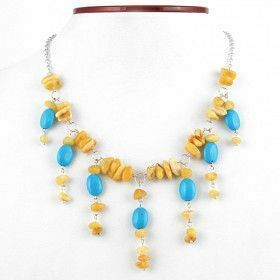 Up until recently, Persian turquoise was a synonym of the highest quality of the gemstone. The most expensive turquoise in the world came from the mountainous range near the district of Nichapur, Iran. The turquoise from this area was exported to Russia and India. Until World War I, turquoise was Iran’s most important industry. There were over one hundred turquoise mines in the country! Sadly, the output declined after World War II and finally ceased after the revolution. 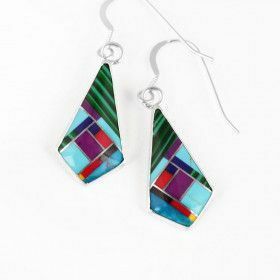 In the United States, the turquoise is mainly found in the Southwest, including Arizona, New Mexico, Nevada, Colorado, and California. Most turquoise today comes from Arizona. By the way, collectors have been recently claiming that the turquoise from the southwest of the USA is just as good as the Persian variety. 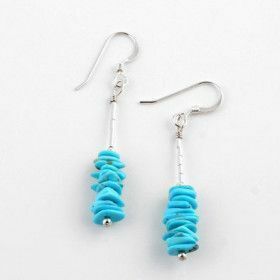 Does Turquoise have different types?